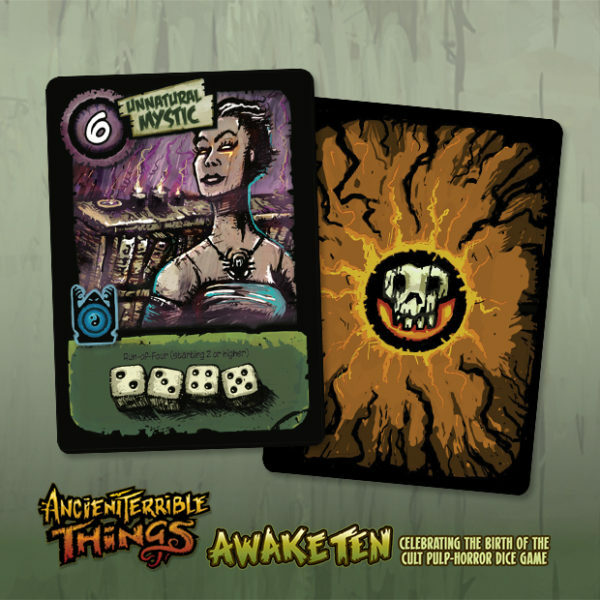 Promo card from Ancient Terrible Things:AwakeTen 2018 Kickstarter campaign. 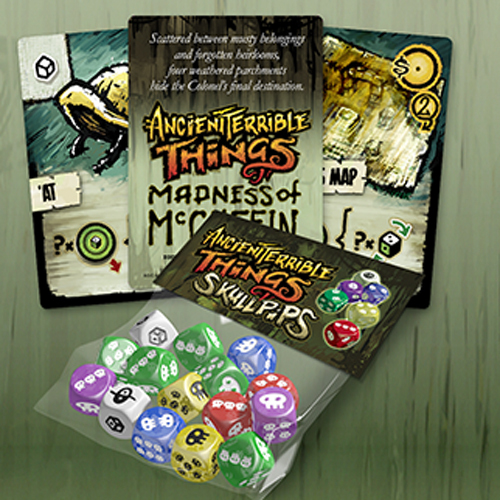 Mini expansion for the pulp horror dice chucker, including a set of custom Skullpip dice. 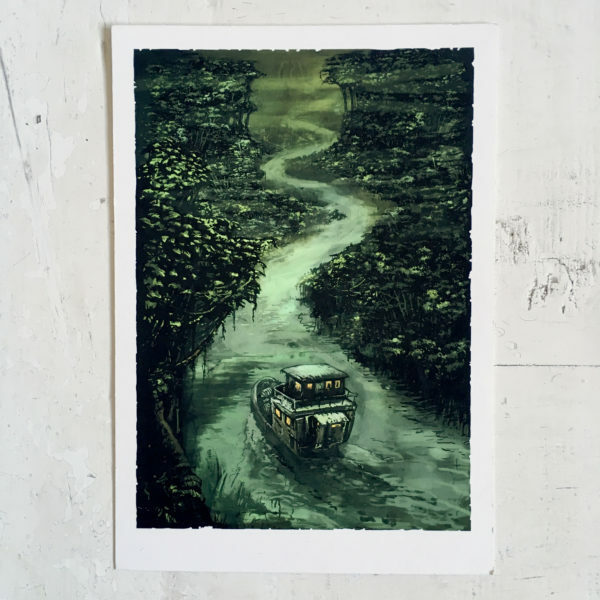 Limited edition art print on Hahnemühle photo rag; Ancient Terrible Things The Lost Charter Kickstarter art collector backer level.